Amy Daltry – Escape Reality, Read Fiction! Three months outbound from Earth and the starship Desio approaches its planetary destination, her crew eager to commence a mission of scientific discovery. Kyle Lorenzo, however, has a personal reason for being on board--an inner conflict that will ultimately propel him to explore not only of the furthest reaches of an enigmatic ocean world but the nebulous recesses of his inner psyche. 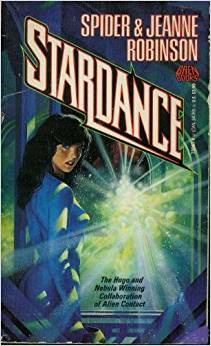 During the long and isolating interstellar journey a physical relationship develops between Kyle and the ship's physician, Kelly Takara. That part is easy. Understanding the reasons for avoiding the emotional commitment desired by Kelly is harder. 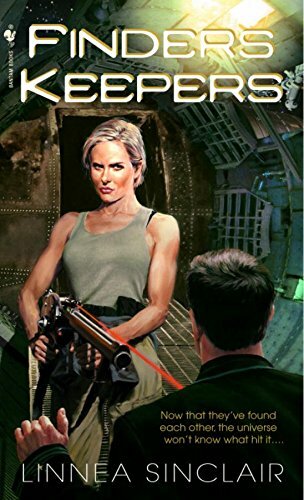 So, too, is trying to penetrate the mind of Larry Melhaus, the mission's brilliant and reclusive physicist - a failure to communicate made exponentially more troublesome when the scientist's disturbing behavior begins to threaten the crew. While Kyle struggles to comprehend himself and Melhaus, the ship's crew, led by their strong-willed commander, Bruce Thompson, attempt to fathom a planet where none of the precepts of science seem to apply. A world where every preconceived notion of what constitutes life must be re-examined and challenged. Two journeys: One inward, one outward.Culminating at the same destination. Interstellar exploration is hard, even if you have a wormhole to make the trip shorter. They only pick the best of the best, but the first crew that went to the planet labeled “231-P5” … had problems. The stress of the trip, being alone with only each other for months on end, the situation they found themselves in, no one’s entirely sure. This crew is carefully hand-picked: five scientists, one…wait, what? A writer? And a poodle? Months out there in space, and our intrepid wordsmith has fallen for the ship’s doctor, one Kelly Takara, but Kyle Lorenzo is sort of afraid of commitment. Things are tense, and only get more so as the expedition’s physicist, Dr. Larry Melhaus, starts acting even more strange than usual. Escape Rating: B+. The first chapter or two of this book didn’t quite grab me the first time I picked it up about a year ago. 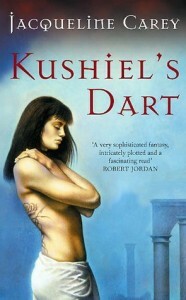 I chalked it up to the mood I was in at the time, and threw it back on my TBR heap for later consideration. When I decided to give it another whirl last week, I discovered that the problem with the book wasn’t me. Well, not exactly. I’m reminded of the first time I watched 2001: A Space Odyssey. While visually stunning, there is an awful lot of the early part of the film that, to me as a then-very-young person, just didn’t serve the plot in a meaningful way. 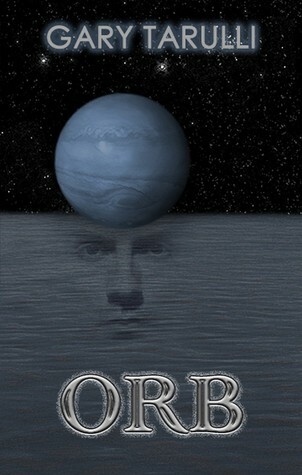 That’s the problem I had with the first couple of chapters of Orb. Author Gary Tarulli gets us deeply into the head of a literary-minded person, and it reminded me rather a lot of the existential maunderings I had to read in freshman lit classes in the late 1980s: slightly less-exciting than cold oatmeal with no butter. Let me say right now that that’s not necessarily a bad thing. Existentialist fiction, if I may paint it with that deliberately-broad term, isn’t by definition bad, despite what I just said about my poor freshman lit teacher’s choices. I just didn’t expect it to come at me in a book labeled “Science Fiction.” And far be it from me to dish on a self-published author–as self-published first works go, this one isn’t bad, really–it just took me a while to catch on to what Tarulli was trying to give us. I’m a slow learner, sometimes. When our crew arrives, early-ish in the book, at the water world that they are there to explore, the sci-fi story starts to emerge, and it’s a good one. The intelligence that populates the planet is so wildly different from ours that our crew struggles with first-contact matters in unexpected ways, and watching Dr. Melhaus’ slow-motion implosion gives us a nice dose of tension, if not quite a villain. Kyle’s internal dialogue over his relationship with Kelly Takara is fairly-understandable, and watching him progress into that relationship is a sweet counterpoint to the precarious situation the crew is in. “Not quite a villain,” I just said–there’s really no villain, as such, in this story. Our cast of characters spends the whole book discovering a place and flavor of life that is incomprehensibly different from ours, and spends even more time discovering … themselves. This is a book that, if you can digest it, will make you think about things rather a lot. It did me. This book is not escapist fiction, not like lots of other reviews I’ve brought you here at Reading Reality; it’s a thinker’s book. Read it with that in mind, and I’m sure you’ll get something out of it, as I have. Derik's a werewolf with alpha issues--and a body to die for. Sara is the personification of unspeakable evil--and smells like roses. Now if they could just stop drooling over each other long enough to save the world. Okay, okay. I said in my review of Davidson’s Sleeping With the Fishes a while back that I didn’t care much for paranormal romances with werewolves in them. I may have to rethink my position, at least in the case of this series. Derik has a problem, you see – he’s an alpha, born to it, and now that he’s coming into his own, it makes it really hard to get along with his pack’s alpha, Michael. There can only be one, of course, so things are tense right from the get-go. The seer in the group, though, has seen a solution. 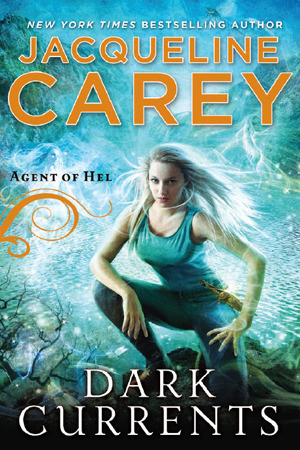 Out on the west coast, there is a woman who is a reincarnation of an ancient evil. Taking care of her will prevent the destruction of the world. Aha! A quest! The ancient evil, however, is reincarnated into a really ditzy, unbelievably lucky, stunningly gorgeous woman. And…she’s really not that evil. Derik tries to kill her, and fails, of course. Derik and Sara embark on a cross-country trip to find and prevent the end of the world, and along the way, they get a little bit crazy for each other. Escape Rating: A-. 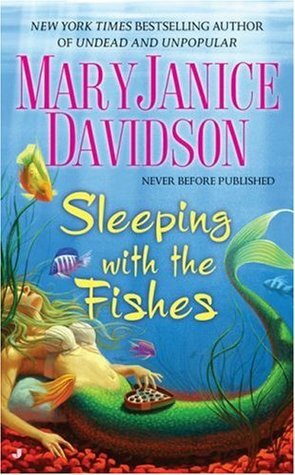 I had such a good time reading Sleeping With the Fishes last year that when I saw this book at my used bookstore, I had to pick it up. Davidson gives us another really fun romp of a read, complete with Milk Bone jokes from the snarky Sara that had me laughing until I wheezed. I’ve spotted a pattern with Davidson’s supernatural characters: they’re real people. In Derik’s case, he’s a real guy, who just-happens-to-be a werewolf, and has to deal with that. No big drama, no woo-woo mystical magic-ness in them; they’re just…people, of a different species, who must necessarily deal with who they are, living in a world full of homo sapiens. I’ve gotta say, I like that feature in both of these books. One of the things that’s been so off-putting to me about paranormal romance in the past is the near-fetish status of the supernatural character. People make a Big Deal about that lycanthrope in their life, or worse, the lycanthrope in their life fetishizes themself. Davidson’s “we’re all just people here” aesthetic really lets me fall into the story, suspend disbelief, and enjoy it, without the distraction of the otherworldliness of one or more characters. 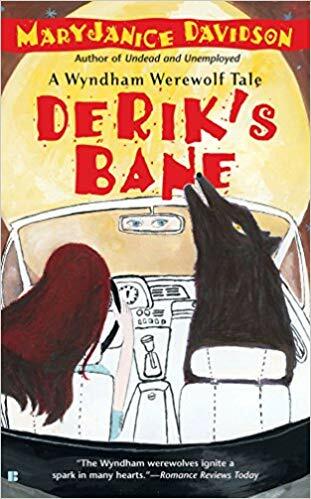 Derik’s Bane gives us a comedy-of-errors, North by Northwest kind of frenzied trip from coast to coast, and, like many road-trip stories, the characters end up way closer to each other than they originally planned on. The quality of the story in that part of the book was so good that the ending, where our hero and heroine discover the awfulness that will end the world if they don’t stop it, comes as a tiny bit of a disappointment. I won’t spoil it for you, but imagine the Monty Python and the Holy Grail scene where the knights come to a cave, and the horrid guardian of the cave turns out to be a rabbit. The semi-heroic battle that followed picked things back up a bit, and what the clairvoyant tells our happy couple after the fact makes it clear that, of course, things were never quite as they seemed to Derik all along. It’s official: MaryJanice Davidson is going on my list of read-for-fun authors. There’s no way to call this “serious” fiction, for any construction of that term, but Derik’s Bane gives us another rollicking read, with rich, entertaining characters. No deep thinking required, just enjoy! A toxic river divides nineteen-year-old Violet Bates's world by gender. Women rule the East. Men rule the West. Everything about the patriarchy is dangerous for a rebellious girl like Violet. She cannot break the rules if she wishes to stay alive. But abiding by rules has never been her strong suit, and when she is thrust into more danger than she could have ever predicted, Violet is forced to sacrifice many things in the forbidden kingdom ... including forbidden love. Our story opens with young Violet Bates trying to smuggle her brother across a toxic river in the dead of the night. They’re caught, and Violet’s life is forever changed. Some time in our future, in the devastation of our world, men and women move apart, and try two different ways of running a society. In Patrus, the men rule; in Matrus, the women are in charge. There are some folks who go back and forth, of course, and a few who have stayed on the “wrong” side of the river, for an assortment of reasons. 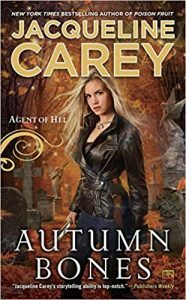 After much of her youth is spent in prisons, Matrian youngster Violet is recruited for a dangerous mission–go to Patrus, and steal something back that belongs to the Queen! Escape Rating: B+. Dystopian fiction interests me. There’s a lot of it that is pretty consistent meat-and-taters: downfall of society for some reason or another, utter lawlessness, the fight for survival, the whole Mad Max vibe, you know? But once in a while, an author gives us a new spin, and here we have one. 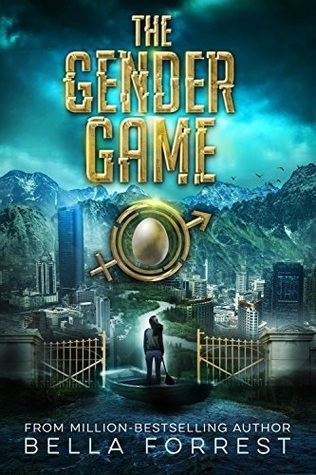 Some of the reviewers have compared this to The Hunger Games, but I don’t think the comparison does either tale justice, really; this story pokes rather firmly at things that most adults have pretty firmly settled in their mind: gender, and how the genders behave. In The Gender Game, we’re introduced to a society split along gender lines. In Patrus, women are essentially enslaved to their fathers and husbands, and have almost no rights. In Matrus, men are carefully watched for aggressive tendencies, and sent to the mines or killed as soon as they don’t toe the line drawn by the women who run things. Violet’s story is interesting, growing up jailed, and how she learned to survive in a system that just could not embrace her, after her failure to crack down on her own brother. 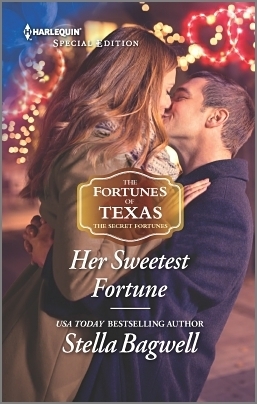 When she’s whisked away from all that, and offered a deal that she can’t refuse, we’ve got a whole new story to digest. As I read through The Gender Game, I looked at my e-book reader and saw I was near the end. 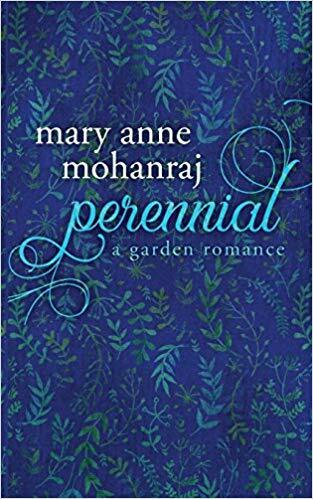 I thought about not finishing it, because it seemed kind of predictable in the early pages – Violet trains up for the heist, she and her Patrian ally decide who to frame, she interacts with the scapegoat – I don’t really need to go on, do I? But I’m glad I read all the way to the end! 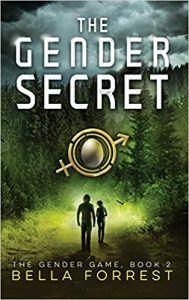 We get a plot twist right in the final pages that sets up the second story in this series, The Gender Secret, where (presumably) we’ll explore more of this world that Bella Forrest has created. It’s that plot twist, in this reviewer’s mind, that saves this book from a lower rating. I liked the story well enough, and Violet was a good enough heroine, with a very realistic set of struggles to go along with the big plot problem, but it just didn’t excite me early on. The strangeness of the Matrus/Patrus setting took a little explaining, so it took a while to ramp up the character development and conflict. It made for a little bit of slow going at first, but this series is now standing at seven books, so I would presume that there’s a bit less exposition about this curious setting in later volumes. Another problem that I have is…well, let me remind you that I’m a transgender woman. Gender is not binary, not A or B, but a spectrum of in-betweens and even a few folks who eschew it altogether. The Gender Games utterly ignores this, firmly asserting a very heterosexual, very traditional binary gender system. Living in a world like we do, where we are somewhat more liberal-thinking than that, this story feels like a step backward to me, because of that glaring discrepancy. It’s a good story, though, and I’m strongly considering picking up more of the series, just to see if our heroine manages to be the catalyst for change in this strange society she lives in. If you like dystopian fiction, and want a piece that is outside the norm, it’s certainly worth a look. Serendipity is a wonderful thing. Amazon showed me this book at some point, trying to entice me into a Kindle Unlimited subscription; I didn’t buy the subscription, but at 99 cents, the book was a cheap read anyway. When I got to it, I opened it with no expectations at all, other than some geeky sci-fi. 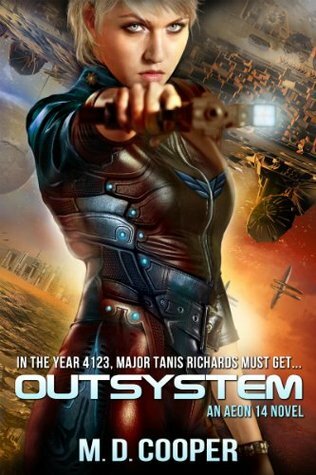 It’s the 42nd Century, and Major Tanis Richards is part of a crack counter-insurgency and intel unit, but she’s gotten into trouble; she’s infamous, you see, for some awfulness she did a while back. We’re never told quite what she did, but her fame precedes her. Tanis is ready to leave the Sol system for good, on the greatest colony ship ever built. It’s a new age of colonization, and the Intrepid is the first of its kind: a ship that will carry huge colony ships to another star, then drop them off and return to Earth. The colonists–and indeed much of the crew–will ride in stasis the whole trip. Major Richards has gotten a spot on the colony roster; not, we may hope, that her skills as an intel officer will be needed. She’s ready to give up her long career in the military, and just be a colonist, but until Intrepid leaves, she’s in charge of security. And there are villains out there who do not want the mighty ship to ever launch! They quite-rightly see Tanis as the fly in the ointment that will keep them from destroying the giant interstellar vessel. Escape Rating A+: This is my first foray into author M. D. Cooper’s Aeon 14 universe, and I’m seriously impressed. It’s a rich, solid milleu for the characters’ adventures. While mankind has progressed dramatically in 21 centuries from where we are now, even to having a ring around Mars, we still see the same human problems of greed and hatred, and the same diversity of thought and creativity that we do in our own world. The heroine of our tale, Tanis Richards, is a very, very competent, strong woman, dedicated to her job almost to a fault. She takes her lumps from the villains, but will not be silenced. Her life in the military rings true for anyone who’s been around the military for any length of time (Marines are still Marines, OOOH-RAH! ), even down to bureaucratic nonsense getting in the way of the mission. This tale even has a little bit of a love interest, which Tanis must put off for a little bit while all the action happens. I get it. Hard sci-fi isn’t for everyone, and neither is military fiction. Cooper manages to tell us a hard sci-fi story without swamping us in the details, and tells us a military story without burying us in jargon. Action, good leadership, intrigue, a slight touch of romance–it’s all in here, in a nice pleasant mix. There was one sour note for me: remember how Major Richards is in counter-insurgency and intel? She has to take measures to get some information out of someone–many, many lives are on the line, and she must break them, and quickly. Her methods are…unpleasant. 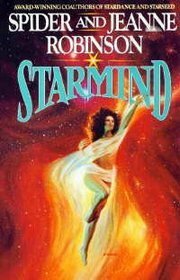 But the scene is mercifully brief, and Richards clearly struggles with the necessity of doing what she does. It’s the only rough patch in what was, for me, a wholeheartedly great read. I’m looking forward to picking up more of M. D. Cooper’s work!